An in depth look at 4 of the best reverb pedals for synth players. What is the best reverb pedal for synth? We will attempt to answer that question right now! FX pedals were originally invented for guitars but when studio production became more mainstream and digitised, so did the creative application of effects in recorded music and thus, a vast amount of reverb units were born. Pedals provide an easy exterior solution to instruments like guitars, keyboards and synths. They’re often cheap, flexible and with a huge range of options available, it’s possible to shape your sound in almost any way possible. 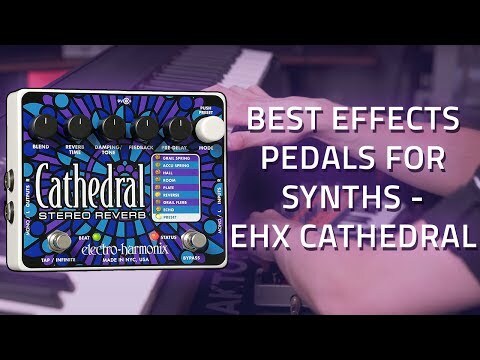 Our favourite being the Electro Harmonix Cathedral. So, what about pedals built specifically for keyboards? There are some but most are ‘borrowed’ guitar pedals. Check out this article from Sound on Sound explaining a bit about this. There is one key difference, though. Most synths and keyboards have stereo outputs and therefore, the pedal requires a pair of stereo inputs. If you are looking for a stand-alone guitar reverb pedal, check out our post here. Whichever way you look at it, many pedals are cross-compatible and many keyboard-specific pedals are built or modelled on their guitar counterparts. A pedal is a pedal – they operate on pretty much the same principles. You can even use bass guitars with the same pedals, or even electronic drums, etc. Obviously, different instruments will produce different tones, some good some bad, so it’s best to concentrate on pedals which are known to function well with your instrument. In this article, we’ll try and find the best reverb pedal for synth – the main trait is that they all have stereo in/outs. Full blown textural reverbs from a great name in pedals. Electro Harmonix have been pitching since the dawn of FX and guitar pedals. This awesome reverb unit is simply all you need for full-blown massive textural reverbs. It’s a real classic and a sure fire contender for best reverb pedal for synth. This unit gives you the holy ability of creating shimmering cascades of vintage verb ranging from short slaps to a real drenched cathedral-like tone which goes on and on and on and on. Grail Spring: Taken from the verb pedal favourite ‘The Holy Grail’. In addition to all of that, you can refine and program your delay tone with several settings and even set it to respond to tempo with a tap tempo function! Boss have faithfully replicated the famous Roland RE-201 in this digital unit that they’ve named RE-20! With all the retro space-like FX of the original and a few digital add-ons, this dual-pedal unit is a modern throwback to the heyday of FX-driven music. This pedal features COSM technology which effectively replicates the analog tone of the original, despite its all-digital construction and circuitry. From space echo to spring reverb, this pedal’s sound quality is top notch. The footswitch can be used as a feedback ramp, allowing for the creation of rise and fall in delay feedback and drama. With tons of tone controls from repeat rate to bass and treble, and a 12- way mode selector, this pedal is adaptable to a plethora of uses and it’s highly popular amongst synth players and keyboardists as well as guitarists. Complete with shed loads of digitally shaped analog-driven goodness and the ability to craft nuanced the textural space echoes, this pedal can provide a retro vibe to all playing with the service of two footswitches. Ok, so this costs a lot, but it’s almost inarguably the most high-tech FX unit for any instrument, including synthesizers and keyboards. It packs an entire pedalboard into one unit including Eventide’s Space unit, which costs around £400 as a standalone device. If you factor all the gear you get into this pedal then it’s actually remarkable value and its power and flexibility is pretty much never ending. Firstly, whilst this pedal looks a little simple on the outside, it is connectable to PC or iPad via the free H9 Control app. This allows you to quickly and easily make powerful presets which are saveable to the device’s internal memory. This device actually has 45 different FX algorithms built into it. Here, we’re concentrating on the reverb units which are fully tweakable to create almost anything ranging from outrageously large cathedral-like reverbs to supernatural space echoes. If you can think of it, this pedal can do it. Aside from its superb selection of FX and features, this pedal’s design is bulletproof in almost every way. It really is a powerful piece of hardware to behold and the idea is that it’ll replace entire pedalboards. So far, it’s lived up to its name and to its price, becoming a top choice for pro instrumentalists worldwide. This cheaper Boss pedal is simple and built like a tank, much like all Boss stuff. This pedal is more sophisticated than it looks, though, and packs 8 changeable FX which have been highly thought out and well-tuned. It features stereo in/outs for use with synths and keyboards and is on our list for best reverb pedal for synth for good reason. 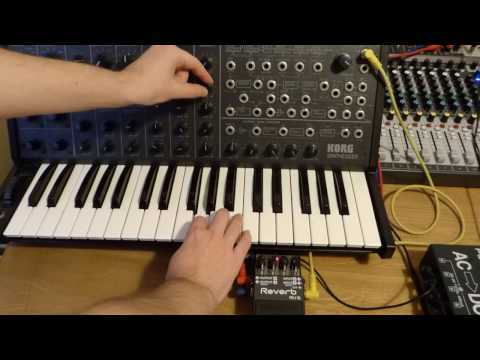 Delay – This reverb/delay combo creates 3D stereo FX. Shimmer – This works on the higher frequencies, simmering them with spaciousness and air. Dynamic – This adaptable setting changes the reverb depth with playing dynamics so it doesn’t muddy quieter playing. This bombproof pedal is more compact than many others and at a cheaper price than say, the Eventide H9, it can be thrashed on the road with (slightly) less regard – it still costs over £100 after all, expensive for a Boss! This pedal is an impressive entry from the legendary modern manufacturer and by cranking the most digital flexibility out of small form, Boss have done an excellent job of creating a large-than-life reverb unit for stereo sources like synths and keyboards. But which is our favourite reverb pedal for synth? Electro Harmonix deliver a classic with this impressive pedal. Many will be thinking, well, that’s expensive purely for a reverb pedal but these things last for life, provided you look after them. For players looking for serious reverb units, this pedal delivers awesome settings which give you anything from massive cascading walls of reverb to subtle touches which lift your playing to another level. It’s important to remember that reverbs are some of the most important FX in a player’s arsenal and for synth and keyboard players, they can turn the instrument into something truly massive, unescapable and wonderfully ambient. Reverb isn’t an option – it’s a necessity. The principle of reverb is simple but the physics involved in more advanced reverbs are complicated. A sound reverberates when sound interacts with a surface within a space. Go into a staircase or hall and you experience reverb in its natural habitat. 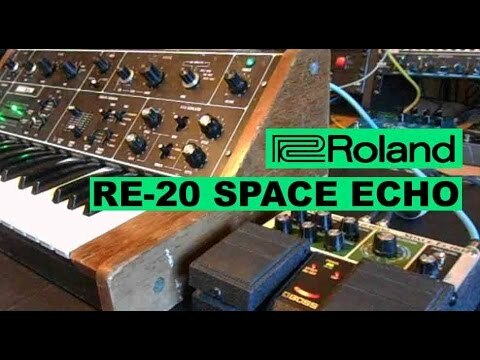 Some call this echo but echo is simply a type of reverb under a different name. Reverbs can be short, sharp and subtle or incredibly long and ambient. A short reverb accentuates individual plucked notes whilst a longer one can provide a whole sequence of notes with a seamless sense of space. Plate reverbs were formerly analog reverbs created from vibrating metal plates. They’re metallic, often quite short in decay and they find themselves most at home on transient instruments like a snare drum. Another type of analog reverb, a spring reverb works literally through a vibrating spring. A spring reverb replicates that ‘twang’ you hear when you flick a spring. Reverbs have changed now and digitally, it’s possible to replicate any sort of reverb, from supernatural space-like FX to reverbs formerly created with analog apparatus. Reverb units are crucial to synth and keyboard players. 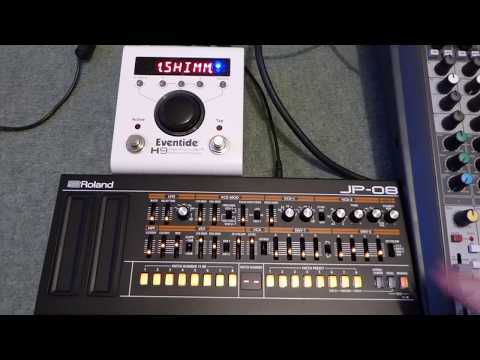 They give a tone space, texture and detail which can transform cheap units into much better soundings ones, or turn top level synths from Moog, Roland, etc, into something even better. Reverb units aren’t always cheap but they’re always worth it. They can enhance your instrument and playing – you won’t know until you try one! Thank you for letting us guide you to the best reverb pedal for synth. If you are looking for a budget reverb pedal for guitar check out our other post here. Sam is an audio and music production graduate, he has worked in live audio, studio production, sound design and videography. What Guitar Is Right For Me?